It’s hard to find a more iconic sedan than the Camry. It has been a staple for drivers in the Avon, Plainfield, and Indianapolis area for years, and with the arrival of 2019 edition, it has been enticing even more individuals making it a go-to vehicle for all types of drivers. 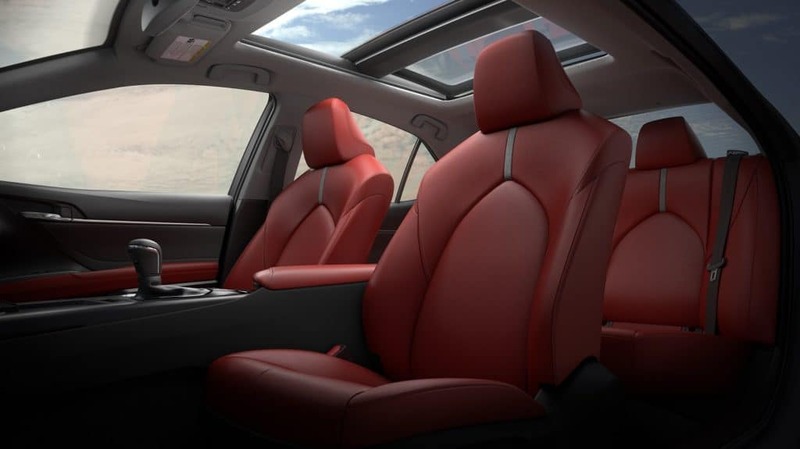 To learn more about this sedan, check out the 2019 Toyota Camry review created by professionals at Andy Mohr Toyota. Below, you’ll find helpful information on performance specs and special features to start your car-buying journey off right. Under the hood of this sedan, you’re going to find the components to give you a smooth ride every time. With the available 3.5L V6 engine, the Camry generates a riveting 301 horsepower and 267 lb-ft of torque, which is the perfect amount of power for city driving. The 8-speed electronically controlled automatic transmissions works seamlessly to provide easy handling, especially when you consider it comes equipped with a sequential shift mode. Front-wheel drive is also included, giving you a well-rounded configuration that you will love. If you’d like to unleash your sporty side, the Toyota Camry trim levels come with a plethora of available features that enhance the ability of this sedan. A panoramic roof with power tilt and slide moonroof provides an airy experience and a new point of view for passengers. You can also dress up your interior with Cockpit Red leather-trimmed seats that are not only stylish, but will brighten up your cabin, too. Looking to elevate every turn you take? Opt for the available paddle shifters that are mounted in your steering wheel, giving you the power to shift manually for a personalized driving experience. By using its sensors, the Blind Spot Monitor with Rear Cross-Traffic Alert will warn you of any approaching vehicles in your blind spot zone and in the rear. To help you maneuver out of tight parking spots, use the integrated backup camera with dynamic guidelines. No matter where you may be headed, you and your passengers deserve to be connected and entertained on the way. With the standard Apple CarPlay™ support, you’ll have easy access to apps, hands-free phone calling, and music streaming. The 8-inch multimedia touchscreen is also available, giving you voice-command features for navigation, your phone, and much more. 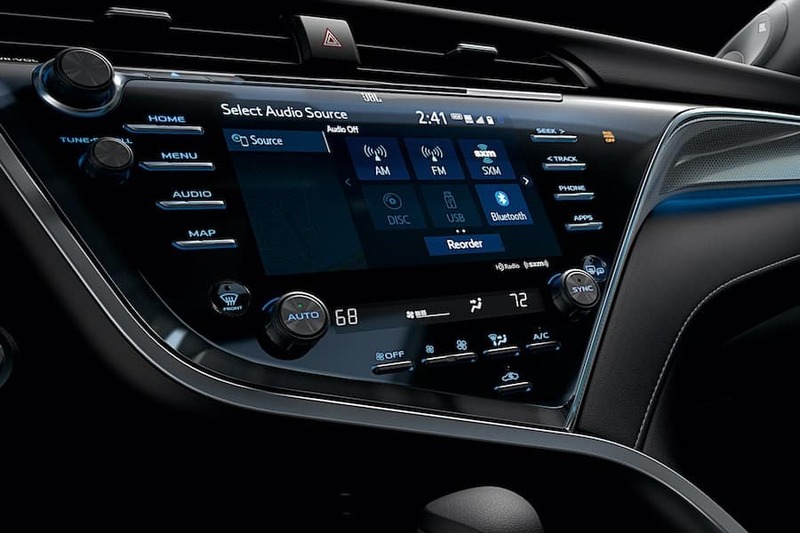 From here, you can also control your Entune™ 3.0 Premium Audio system that comes with nine generously placed speakers. Although we covered major details of this impressive sedan in our 2019 Toyota Camry review, the best way to fully experience it is to get behind the wheel. To see everything that this sedan offers in person, schedule a test drive at our Toyota dealership from the Avon, Plainfield, and Indianapolis areas today. Our team is excited to show you what this car can do.